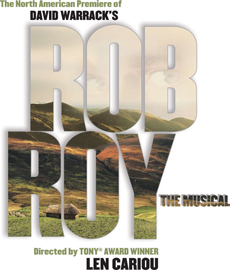 Rob Roy The Musical celebrates the adventures of one of the best known heroes in Scottish history. Set in Scotland and England during the first half of the 18th Century, Rob Roy The Musical tells the tale of the famous Highlander from his days as a peaceful clan leader through his difficulties with the abrasive Duke of Montrose. Rob Roy MacGregor is branded as an outlaw due to a business transaction which bore all the signs of a set-up. This all took place at a pivotal time in Scottish history, when the Scots hoped to finally break free from England and follow what they believed was their true destiny. Rob Roy in his flight from the law was captured many times yet always managed to escape thus becoming a hero to the Scots.